Have you already played all of our rooms? did you enjoy the Escape Rooms experience? 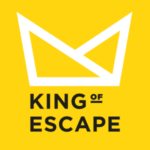 Try other Escape Rooms from our friends in Palma! Address: Carrer Poima, 15, 07011 Palma, Illes Balears.